While relatively minor in the scope of SpaceX’s next-generation rocket program, Starhopper’s successful tethered hop now paves the way towards untethered testing in which the terminally suborbital testbed could spend several minutes aloft and reach altitudes as high as 5 km (3 mi). Aside from Starhopper itself, this perhaps marks an even more significant milestone for Raptor, completing the engine’s first successful test-fire as part of an integrated flight vehicle. It’s a flood of apocalyptic proportions! No I’m not talking about Noah and the ark, or even Offut Air Base. Hi, I’m Grace Liu. Here’s your local Iranian weather for the week. The skies over Semnan in north-central Iran were mostly cloudy, with significant rainfall on March 20, 21, and again on the 26th. Thi weather radar map also shows precipitation around Semnan on the 26th. Why am I showing you the weather from Semnan in late March? Because that’s where Iran’s Imam Khomeini Space Center is located. And new satellite imagery taken by Planet Labs reveals that the launch pad at the Imam Khomeini space launch center is a lot worse for the wear after the downpour. There is a small, circular launch pad at the space center that has been used for many of Iran’s satellite launches. Most recently, Iran attempted to launch a Safir space launch vehicle on Feb 5. It reportedly failed. The circular pad usually looks like a colorful jawbreaker that a child has been licking for a day or two. In a recent image from March 29, the pad is barely visible. Strong rains over the past two weeks likely flooded the thin sand around the area and deposited the sediment across the flat concrete. This likely means that the launch pad is out of commission for now. Before the pad can be used again, the Iranians will have to take time to remove the sediment from the pad and possibly make repairs if there was any significant damage. SpaceX’s team of South Texas engineers and technicians have dived into a program of critical pre-hop tests of the first assembled Starship prototype, a partial-fidelity vehicle – known as (Star)Hopper – meant to soon perform low-altitude, low-velocity hop tests powered by Raptor. Despite a lack of official information is known and SpaceX’s general silence – even to local residents – about Starhopper’s testing, some barebones insight can be derived from what has and hasn’t been done or seen over the past seven days of testing, as well as five apparent wet dress rehearsals (WDRs). To verify the operational integrity of Starhopper and iron out best practices for what is effectively a one-off mobile test stand for Raptor, these WDRs (and one more active test) have seen the unusual prototype filled with some amount of liquid oxygen and methane propellant, taken to flight (hop?) pressures, and generally monitored closely to gather valuable telemetry and judge Starhopper’s condition and hop-readiness. Aside from Hopper, these tests also serve as a shakedown for complex pad and support facilities sprung up from a dirt pile in barely three months. Starhopper’s five (ish) wet dress rehearsal tests have demonstrated an intriguing level of caution relative to the last few months of BFR program development. Depending on how much propellant SpaceX has been filled the vehicle with and how much of that propellant they are able to recycle after each attempt, each dress rehearsal could cost upwards of six figures (USD), while also putting the unusual steel structure through multiple stress cycles. 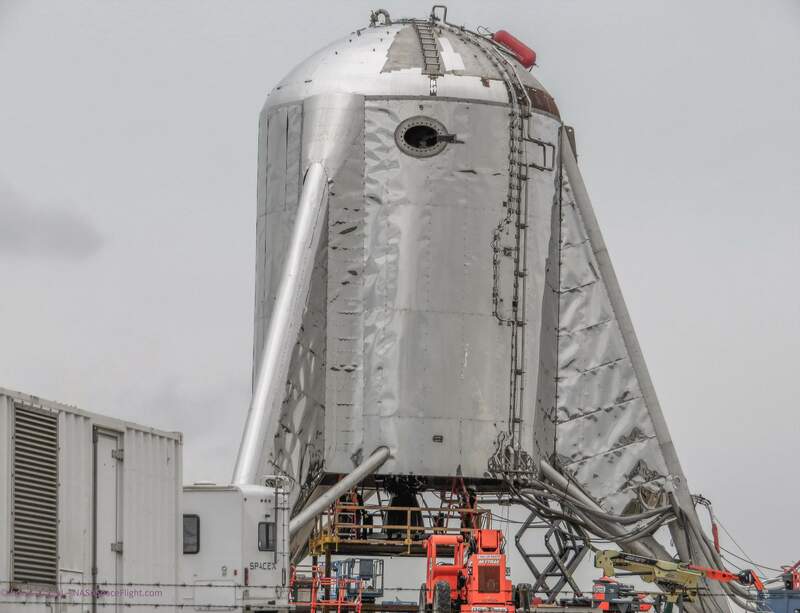 No official info has been provided beyond a brief indication that SpaceX means to static-fire Starhopper before transitioning to tethered hops, meaning that it’s quite difficult to determine what exactly the testing plan and schedule are. In other words, these ~5 WDR tests could have been the plan all along, or each test could be producing data that has lead launch engineers to scrub Raptor ignition attempts nominally planned at the end of each rehearsal. For an entirely new and unfamiliar design like Starhopper, it seems likely that at least one or two WDRs were planned before any attempt to static fire the hopper’s lone Raptor, although it could also be the case that – much like most SpaceX static fire attempts – the WDR was simply built in as a precursor to ignition, barring off-nominal telemetry. The third and most visibly active test yet (above) occurred on March 25th and saw Starhopper briefly vent a cloud of gas from Raptor, with some viewers guessing that a Raptor preburner (partial ignition) test had been observed. It’s unclear whether this Raptor (SN02, the second produced) completed acceptance testing in McGregor, Texas on the way from California to Boca Chica. If not, then the caution on display in these WDR tests (i.e. no visible Raptor ignitions) could also be a side-effect of extremely young age of the full-scale engine test program, known (publicly) to have only completed a couple dozen seconds of hot-fire testing in February. The fidelity of Starhopper relative to its orbit-facing successors is also unclear. If the prototype’s structures, avionics, and plumbing are actually more indicative of the finished product than they appear, it’s possible that SpaceX tendency towards accepting the destruction of test hardware is in a bit more of a cautious state than usual, with a total loss of vehicle amounting to a significant technical setback and schedule delay. Based on the vehicle’s appearance and the apparent decision to entirely set aside the idea of installing a new fairing on Starhopper, it seems far more plausible that the prototype is more of a glorified mobile test stand for Raptor engines and Starship avionics (software) than anything else. If Starhopper really can’t function as something more than a marginally mobile test stand for Raptor(s), then the value of actually hopping the craft could be quite minimal, perhaps offering useful data on Raptor’s control loop and behavior during flight operations. Still, CEO Elon Musk has stated several times that SpaceX has gotten good enough at the actual task of landing rockets vertically that it’s effectively a known quantity for Raptor and BFR, whereas the exotic atmospheric operations planned for Starship are the main uncertainty for successful recoveries. Simultaneously, SpaceX is building the first orbital-class Starship prototype just a few thousand feet away from Starhopper’s new roost, utilizing stainless steel sheets almost three times thinner than the quarter-inch-thick steel the first prototype was built out of. It’s likely that Starhopper’s career will thus end up being rather short, given that the completion of the first near-final Starship would further minimize the low-fidelity hopper’s utility. If it’s actually meant to reach orbit, the newest Starship prototype will require the tripod fins and canard wings shown in SpaceX’s latest renders in order to safely land for future test flights, while Starhopper appears to be far too heavy and simplistic to warrant the expensive and time-consuming task of outfitting it with aerodynamic control surfaces and a new nose cone capable of surviving the associated forces. While additional testing may be done on Friday, March 29th, it appears that the next attempts for the first static fire (and hop tests) will begin next week (likely Monday) – SpaceX is unlikely to test on weekends due to the potential disruption it could cause for beach-going locals. The engine has three sections: The front end is a precooler that can take a 1,000C airstream and chill it to -150C almost instantly. The core engine then takes air from the precooler, and forces it back out through relatively conventional rocket nozzles. Although a company called Boom is trying to revive interest in supersonic jetliners and GE has new engines for the purpose, a commercially viable suborbital transport could obsolete supersonic transport. Reaction Engines is a private venture, backed by BAE, Rolls Royce, and Boeing. It also has research and development help from the British government. The history behind supersonic flight is interesting and perhaps will extend to cover the X-59, soon. This is a free preview of DeepSpace, Teslarati’s new member-only weekly newsletter. Each week, I’ll be taking a deep-dive into the most exciting developments in commercial space, from satellites and rockets to everything in between. If you’d like to receive this DeepSpace newsletter and all of our newsletters and membership benefits, you can become a member for as little as $3/month here. 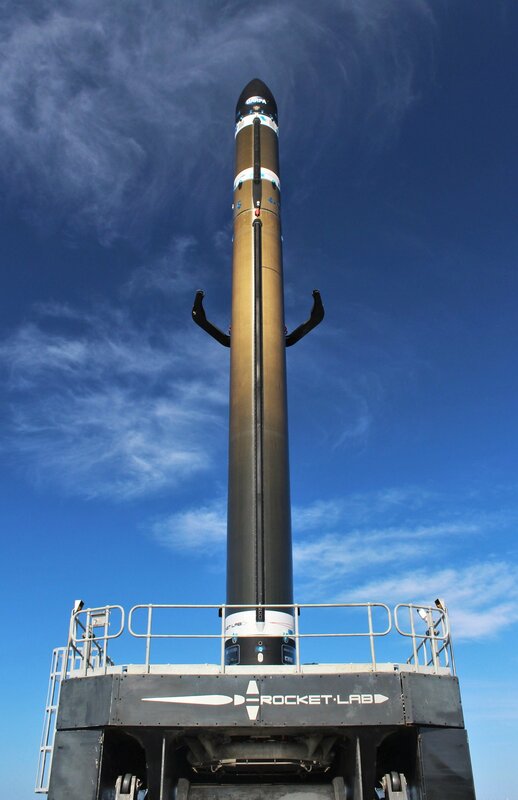 Now approximately four months distant from the inaugural commercial launch of Rocket Lab’s Electron rocket, the company is ready – following many weeks of customer-side delays – to conduct its first launch of 2019, aiming to place an experimental DARPA-funded satellite into low Earth orbit (LEO). If all goes as planned with the launch and experimental spacecraft’s orbital operations, Defense Advanced Research Projects Agency (DARPA) hopes to use the mission to qualify a currently-untested technology that could ultimately enable the production of massive communications and sensing antennas that can fit on relatively tiny satellites. Known as R3D2 (ha…ha…), the mission also effectively serves as the latest operational debut of DARPA’s growing interest and involvement in spaceflight-related industries, nominally proving that the agency is capable of leaning on established companies and startups to rapidly design, build, and fly satellites. Barring any additional launch delays from DARPA’s preparations, Rocket Lab hopes to launch Electron around the end of this week – likely March 22-24 – to kick off what will hopefully be a busy and productive year for the newly operational launch provider. Originally targeted for sometime in the second half of February, the R3D2 mission – Electron’s fifth planned launch in 18 months – has suffered several weeks of delays due to issues faced by DARPA during satellite delivery and pre-launch preparations. Aside from a general hint that the satellite arrived a few weeks later than planned and an official statement from Rocket Lab that “DARPA’s payload team is conducting final ground station configuration work over the coming days”, the process appears to be going rather smoothly. Weighing in at roughly 150 kg (330 lb), the R3D2 spacecraft – barring the quiet inclusion of co-passengers – will be the first launch of Electron dedicated to a single satellite. In fact, 150 kg is actually the maximum listed payload that Electron is capable of launching to a 500 km (310 mi) sun-synchronous orbit (SSO), providing a functional ‘ceiling’ for the ultimate destination of DARPA’s satellite. R3D2’s primary purpose will be to extensively test a brand new antenna technology and thus prove (hopefully) that the in-space deployment mechanism and unique material composition function as designed. Likely no more than 1-2 feet (~50 cm) across, the definitively small satellite will attempt to deploy an antenna many times larger than itself. Made out of a material known as Kapton, the deployable antenna will reach a maximum diameter of 2.25 m (7.4 ft), fairly large even when compared with antennas used on satellites many dozens of times more massive. Although the company is off to a relatively slow start, as many as eleven Electron missions – including R3D2 – are at least tentatively manifested for launches in 2019. 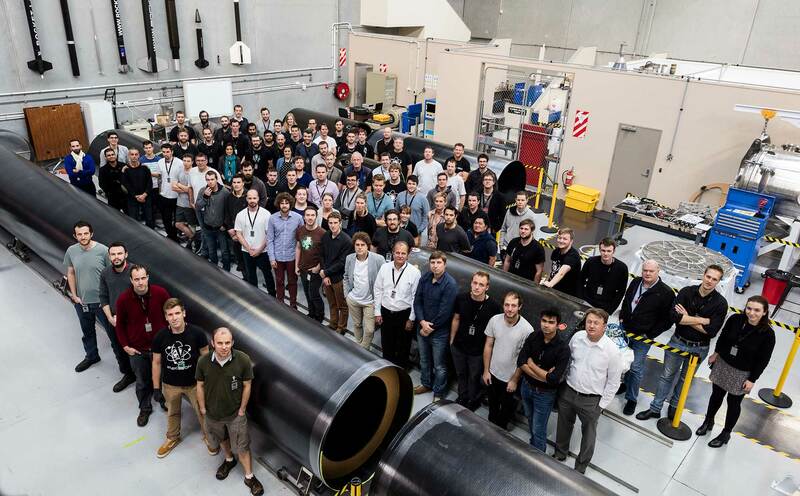 In November and December of 2018, Rocket Lab further demonstrated that it is more than capable of a respectable monthly launch cadence, particularly impressive for a rocket conducting its third and fourth missions ever. If Rocket Lab can more or less sustain that cadence after DARPA’s R3D2, the company could ultimately complete as many as 8-10 launches this year. Ultimately, founder and CEO Peter Beck says that Rocket Lab and Electron will eventually target dozens of annual launches per year and a weekly launch cadence from an array of launch facilities. Earlier this year, Rocket Lab officially announced that it had come to an agreement with the state of Virginia to build its second launch complex (LC-2) at Wallops Flight Facility (also known as the Mid-Atlantic Spaceport). If construction proceeds apace, the company’s first US-based Electron launch could occur before the end of 2019. DARPA’s goal with R3D2 – and its interest in space and small satellites in general – should ultimately benefit the entire spaceflight industry, potentially paving the way for the design and production of small satellites with technical capabilities that far outstretch their compact nature. Reliable and affordable deployable structures are becoming a growing focus of a number of young and old spaceflight companies, ranging from heavyweights like SSL/Maxar to new startups like Oxford Space Systems. Unlike most modern defense and aerospace technology procurement, DARPA is also distinctly focused on streamlining the process of designing, building, and launching spacecraft. To do so, the agency plans to rely heavily on established commercial entities to optimize speed and affordability will still ultimately producing innovative space systems and pushing the state of the art forward. Aside from closely involved projects like R3D2, DARPA – through a program called Blackjack – is also extremely interested in a number of LEO communications constellations proposed in the last few years by companies like SpaceX, OneWeb, and Telesat, and has already awarded a series of small contracts with several to begin the program’s earliest phases. 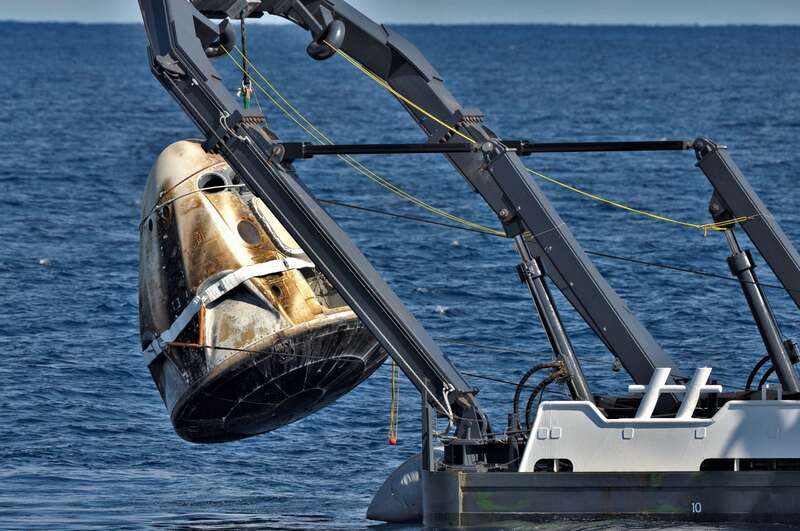 Completed on March 8th, SpaceX’s near-flawless Crew Dragon launch, space station rendezvous, and recovery is likely the last of the company’s orbital launch activities for the month of March. After Falcon Heavy, SpaceX has at least one other launch – Cargo Dragon’s CRS-17 resupply mission – firmly scheduled for April (April 25th), as well as the more tenuous possibility of the first dedicated Starlink launch occurring as early as late April.